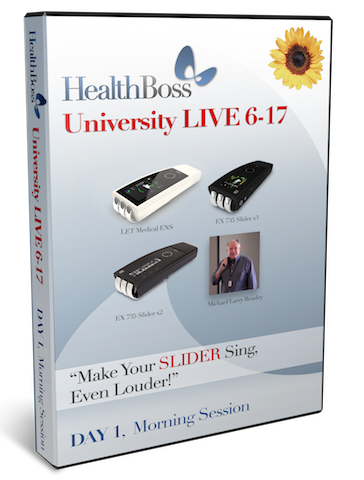 Fully edited footage from HealthBoss University LIVE 6-17 (June 2017) Interactive Workshop that was focused on operation and practical use of the top-of-the-line LET Medical SCENARs: EX735 Slider x2, EX735 SLider x3, and the latest release – ENS. Program is intended to give participants a solid working knowledge of the second and third generation SCENARs (their functions, operation, and efficient practical use) as well as clear understanding of the functioning of the energo-informational system of the body and the ways to optimize it. Life Cycle: Stress and “Dis-ease”. Constant Stress and Pain Considerations. “Dis-ease” and ADAPTATION. Body Reactions to Stress and Disease. Local and General Adaptive Reactions. Energy Cysts and the Small Asymmetry (SA). Dermatomes. Choosing Therapy Locations – Symmetry Zones. Nerve Fibers and Communication Speeds. Formation of Chronic pain. 2 Main Sources of Pain. Working with Pain Paths & 3P6P. Problem is outside the body and visible. Problem is inside the body and not visible. (LOCAL: Point of Pain – REGIONAL: Area of Pain – GLOBAL: Entire Body). SCENAR Family Tree. Devices from LET Medical: Sliders X2, X3, and New ENS. WHY ENS? SCENAR vs. Cosmodic vs. ENS (comparison). Display Options. Device Control. Advanced ASSESSMENT in X3 and ENS. “3 Pathways 6 points” Technique – comparing Objective and Subjective methods. Device In-built Electrode Choices. 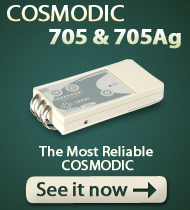 Device Electrode Selection: Properties of Silver, Copper and Gold. Remote Electrodes. Remote Electrode Material Selection. Why Shungite? SCENAR Therapy and Facelift with Shungite electrodes. Techniques Using Paired Shungite Probes. Primary Applications of Shungite Electrodes. Sandwiching deep pain with Paired Probes. Shifting out of Stress Using Paired Shungite Probes. Balancing Chakras. Paired Probes and Acupuncture Probes. EX735 SLIDER Therapy. Shifting out of Stress using SMALL and MEDIUM AGRs. LARGE AGRs: 3Pathways 6Points (in Subjective and Objective methods), Collar Zone, Abdominal Zone, Abdominal Spirals, 5 Point Star, Energy Cleanse, Zone Palm. Summary: WHAT TO DO, WHERE TO WORK. TIME: Duration and Frequency of Sessions. Assessment of Client Needs (Focus on the Main Complaint. Client Assessment Forms). Patient Contact and Informational Transfer. Your Intentions just might Matter. The Final Balancing Therapeutic Act: The Energy Blanket. Shifting out of STRESS: Combining SLIDER & Blanket Therapy. Lymphatic Facial Technique – A Beauty Protocol. Fully edited footage from HealthBoss University LIVE 6-16 (June 2016) that studied the Energo-Informational Matrix of a human being: its structure and inner workings, our understanding of its “weakest links” and causes of corruption – and the most efficient ways we found to restore its harmony and smooth functioning, which will be reflected in the better functioning of the physical body (and possibly, in regeneration of its damaged structures). 2 days on 4 DVDs + all conference PowerPoints and printed materials on a CD. 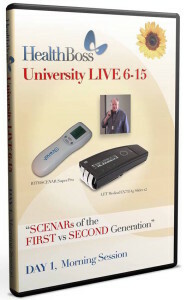 Fully edited footage from HealthBoss University LIVE 6-15 (June 2015) focused on comparison of operation and practical use of two SCENAR generations and their various enhancements and attachments. The first generation is represented by the RITMSCENAR Super Pro, the Second generation – by the SCENAR-COSMODIC EX735Ag Slider x2. SCENAR and COSMODIC: evolution of the technology. Overview of manufacturers and the best models of the devices. Ways to bring positive changes into the Body System. Difference and Similarities in SCENAR and COSMODIC METHODOLOGY. Types and Cycles of Adaptive reactions. How to deal with STRESS. Metal Remote Electrodes (stainless steel and silver). 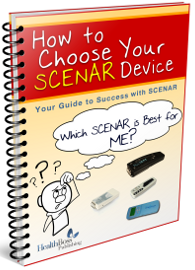 How to Choose the Right Device. 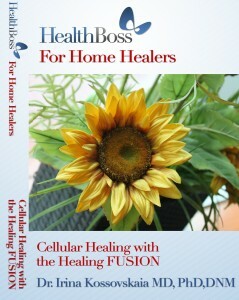 The Healing FUSION Benefits. Fully edited footage from HealthBoss University LIVE 6-14 (June 2014) focused on operation and practical use of the Best SCENAR Yet – the EX735Ag Modific SLIDER x2. (including the PDF of Dr. Irina’s “COSMODIC User Guide”). Overview of the EX735 Slider Operation. 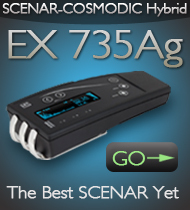 EX735 Slider Design and Modes. 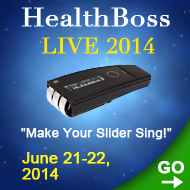 Care for your SLIDER. Standard vs. Professional Slider Models. SCENAR vs Cosmodic vs Slider modes: which to choose? Next: decide on Constant, MYO or Senso. Informational Displays and how to use them. What is Dis-ease and How to Approach It. The Body Systems, Symmetry, and Interconnections. Working with Local Adaptive Reactions via ALRs (Areas of Local Regulation). Asymmetries, Small Asymmetry, and Active Sites. Most popular ALR Techniques: “Point of Pain”, “Area of Pain”, “Point of Pain in Motion”, “Little Wings”. Working with General Adaptive Reactions via AGRs (Areas of General Regulation). Working with Small AGRs: 10 Magic Points; 6 Points on the Face; Cross Points. Working with Medium AGRs: Ears, Skull (“Watermelon” Technique, Head Spirals), Neck (“Pirogov’s Ring” Technique), Hands and Feet (“Socks and Gloves”), Vital Organs projections, Testicles and Ovaries. Working with Large AGRs: 3P7P Protocol (“3 Pathways 7 Points”), “Energy Cleanse” Technique, Collar Zone Protocol, Zone Abdomen Protocol, Abdominal Spirals, “5-Point Star”, Zone Palm Protocol. Tying It All Together: How to Optimize Your Therapy Session. Strategy and Tactics in Working with the EX735Ag Slider. 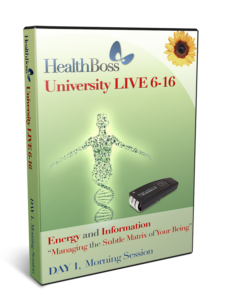 Limited release of the footage from HealthBoss University LIVE 6-13 (June 2013) – fully edited to create a self-teaching and immediate implementation format. Full 2 days on 4 DVDs + all conference PowerPoints and printed materials on a CD (including the PDF of Dr. Irina’s “COSMODIC User Guide”). COSMODIC Chakra Opening and more. This course conducted by Dr. Irina Kossovskaia designed for the first generation SCENARs covers the universal fundamental concepts of scenar therapy as they are presented in the classical Russian scenar approach. Yet it takes scenar to another level expanding the horizons of this unique “Star Trek” technology. 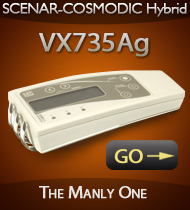 If you are passionate about scenar therapy, this is a MUST for you to watch, even if you own a COSMODIC ® device or a “crossbreed” like The DOVE scenar. This is a 7 DVD set. The one and only LET Medical textbook in the DVD format (since they do not produce it in print anymore). General recommendations on using both SCENAR and COSMODIC ® devices. This Video is for anyone wanting to know more about COSMODIC ® technology or anyone in possession of a COSMODIC device or a SCENAR/COSMODIC Hybrid. 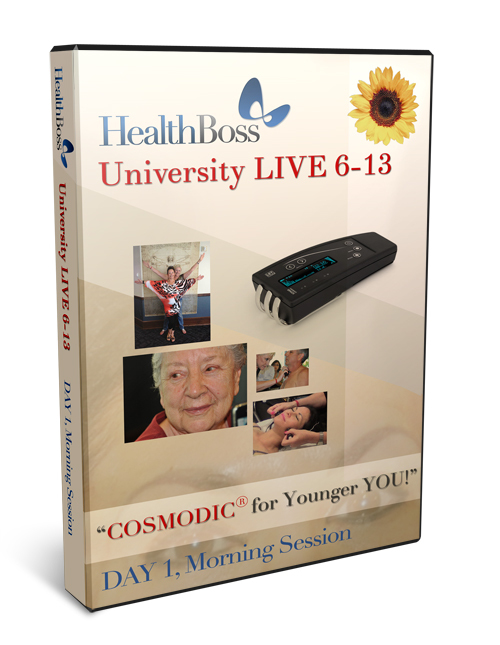 In other words, this DVD gives you the The ABCs of COSMODIC ®. The information is not model-specific and can be useful to ANY COSMODIC device owner who wants to better understand his/her Personal Health Assistant. 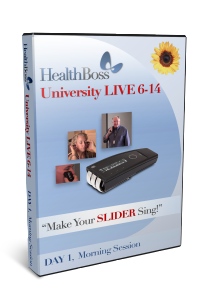 The Most Comprehensive DVD for those new to the DOVE scenar on how to quickly learn to use your device and achieve wonderful results. If you want pure content and detailed information, this DVD has three Tutorials by Dr. Irina Kossovskaia, which introduce you to the scenar technology, show you How to Operate your DOVE scenar and How to Work with the Body. 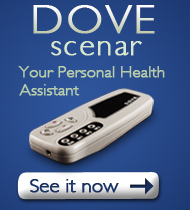 If you want to quickly get up-to-speed on using your DOVE scenar, this DVD is for you. If you want to operate you DOVE scenar as a pro and get the most out of your Personal Health Assistant, this Training program will give you just what you need. Dr. Irina Kossovskaia goes in-depth into details of interactions in the Healing Triangle (between a practitioner, a client, and the device); explains the theory of adaptivity; gives recommendations on the designing the treatment session on more than one level; explains in details and demonstrates with the DOVE all major classical Russian SCENAR protocols, and addresses questions about treating many particular disorders. 4 Modules on 2 DVDs. 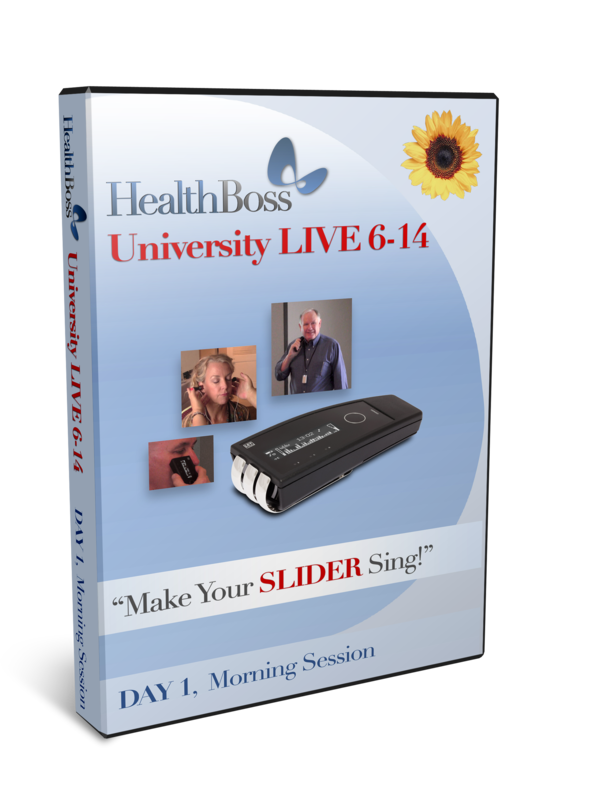 This distinctive DVD is the most comprehensive Training for using COSMODIC ® devices like the LET MEDICAL C-DOVE, 715, 705, and the 735 series. If you could only purchase one DVD to teach you how to effectively use and apply COSMODIC ® SCENARS-LET, This is The One. Even though Dr. Rob Esser uses the older models of COSMODIC devices (the only ones available at the time when the DVD was made), his unique way of explaining COSMODIC and the treatment principles are timeless and can be applied to ANY COSMODIC device – now and in the future. The presented program is a direct result of the interview Dr. Irina Kossovskaia conducted with Dr. Alexander Karasev, the creator of SCENAR and COSMODIC®. During that interview she found out some Secrets to the DOSE, and answers to the questions every SCENAR and COSMODIC user needs to know. What happens in the body when the Dose signal is heard? How does COSMODIC know when enough is enough? What is the double-Dose? 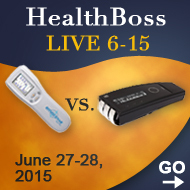 Why the device sometimes shuts off by itself without reaching the Dose – and what should I do about it? These and many other questions answered. 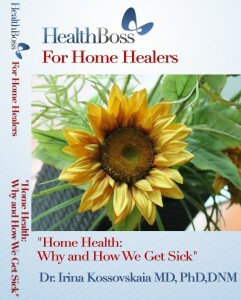 If you are a Home Healer, a clear UNDERSTANDING of how your body works and WHY it is malfunctioning is invaluable in conquering one of the deepest human fears – the FEAR of DISEASE. Let’s jointly “demystify” Disease and gain the understanding of it along with your COMPETENCE and CONFIDENCE in dealing with health challenges – the two main attributes of a Home Healer. This class also gives you Practical Protocols to implement immediately. ADAPTATION is the core mechanism of our very existence (which follows the basic life principle “adapt or die”). 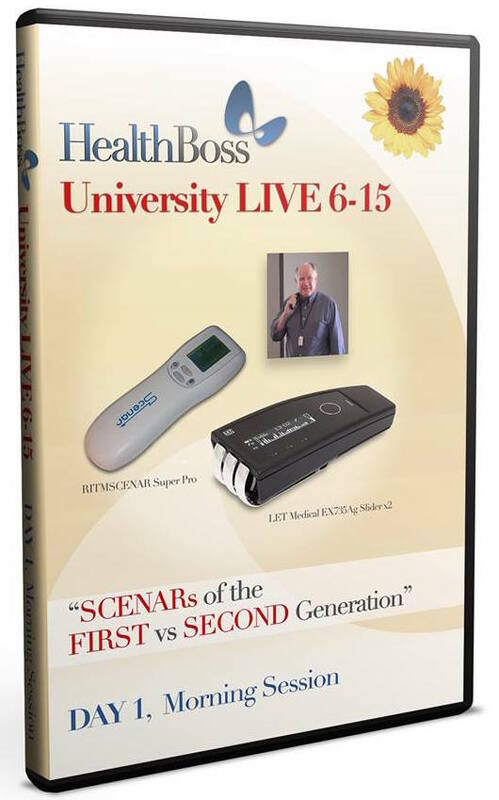 This DVD is for anyone who wants to finally understand why some of us adapt and get better while others continue to get sick. It analyses the main mechanisms of adaptation, the main systems responsible for it in the human body, and gives recommendations on how to keep those systems in good working order. In order to REALLY understand The Healing FUSION technologies (SCENAR, COSMODIC, Soft LASER, SOLARIS Blanket) and realize why we so strongly advocate the combination of them you need to see how these technologies work on the CELLULAR LEVEL. So we will do just that: take a close look at functioning of your cells and how it can be affected by our energy healing tools (in particular – SCENAR/COSMODIC and Soft LASER). 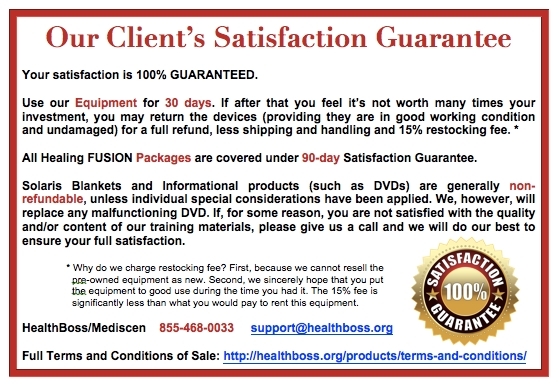 Dr. Irina Kossovskaia, MD,PhD,DNM teaches the MAIN PROTOCOLS utilized by the Healing FUSION system, how you can perform them with only one (or two) out of the three FUSION technologies, and which of the devices are the most suitable for one or another protocol. The protocols include: Coherent Body Treatment, Immune Modulation, ANS Balancing, Relaxation Response, Chakra Balancing, 3P6P, Energy Cleanse, Little Wings, Pirogov’s Ring, Abdominal Spirals, Collar Zone, Zone Palm, Small AGRs – and then some.Let’s maximize your devices’ performance by learning WHERE, WHEN, and HOW to connect them to a living system they are designed to help. We cannot live and function properly, if our major defense mechanism – our immune system is out of order (in either case of immunodeficiency or immune hyperactivity). The presented Protocol has an objective to optimize the activity of this vital part of our being – and it does it VERY successfully. Just try it. Do you know what over 100,000 various ill-health conditions have in common? Imbalanced Autonomic Nervous System (ANS)! On this DVD Dr. Irina Kossovskaia will demonstrate/teach some of the most effective protocols for treatment of health issues that are created by this imbalance (in particular, by persisting Sympathetic dominance a.k.a. Chronic Stress). 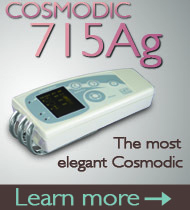 An effective way to create Facial Rejuvenation and Systemic Healing. This DVD offers the detailed and explanatory step-by-step instructions on how to properly apply the “Cinderella Beauty Protocol” for self-care by Pat Knox and Dr. Irina. 46 Minutes of pure content that will also make you smile. Imagine a Beauty Treatment that also benefits your Health and Wellbeing profoundly. The more you apply the techniques using The Healing FUSION (Low Level Laser, COSMODIC or SCENAR, and the SOLARIS Blanket) the more healthful and youthful you get. You can utilize all three of the Healing FUSION technologies or just some of them – in any case at the end you will be much better off than before you started – not only physically, but also mentally, emotionally, or even spiritually. The technique is THAT powerful. Whether you just have a little nearsightedness or need glasses when you read, or suffer from a more serious eye disorder (such as macular degeneration or glaucoma), this program will explain what is happening with your eyes – and show you how to stop your eye sight from getting worse. It will also give you the exact Healing FUSION Protocols to regenerate your eyes and reverse many conditions that affect your VISION – our most valuable sense. What makes you strong and well adjusted in life? Your Support System. Your pets are a major part of this system supporting you with energy of their unconditional love. Let’s make sure we know how to help those who are so selflessly helping us. Let’s learn how to be good friends and masters to the furry four-legged members of our families. They count on us. The SOLARIS Health Blanket – an effective, elegant, and brilliant in its simplicity bio-feedback device is everyone’s favorite. The DVD talks about its origin, mechanism of action, gives recommendations on its optimal use and answers the frequently asked questions.